Men and women respond differently to setting goals, fascinating study finds. While goal-setting may work less well for women in some circumstances, it is still effective to some extent for both sexes. “The focus of this research was to determine how to motivate people. When we are given a goal, we feel a sense of purpose to achieve it; it naturally helps to focus us. The findings demonstrate that setting a goal induces higher effort. For the study people had to do a simple addition task. They were challenged to achieve 10 correct answers in one group and 15 correct answers in another group. Both were compared with a control group who were given no goal. 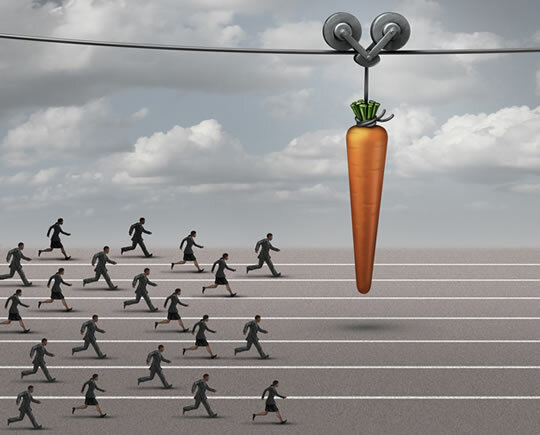 The results showed that goal-setting had similar effects to monetary incentives. People with goals focused more and increased their speed to complete the task. “My research found that women perform better than men in the no goal setting, but men thrive in both of the goal treatments, suggesting that men are more responsive to goals than women. I also found a 20 per cent and 35 per cent increase in correct number of additions for the medium and challenging goal groups over the control group. This is an incredible increase in output without the need for extra monetary incentives. • Read more about PsyBlog’s motivation ebook: Spark: 17 Steps That Will Boost Your Motivation For Anything. The study was published in the journal Economic Letters (Smithers, 2015).